To join the annual meeting of the Organization for Human Brain Mapping and receive advices from neuroimaging researchers about our research findings. 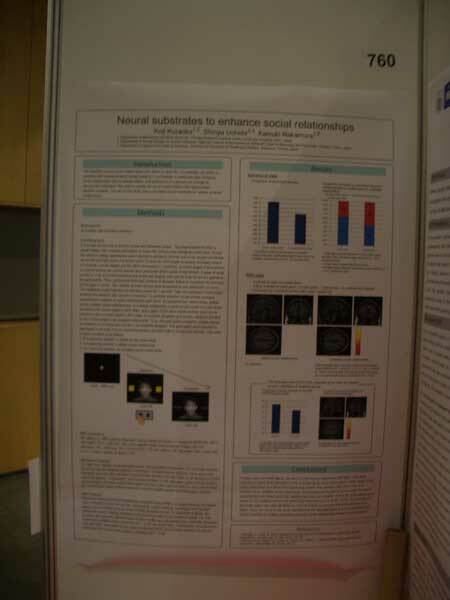 I participated in the 16th Annual Meeting of the Organization for Human Brain Mapping, and made a poster presentation about the neural substrates to enhance social relationships. 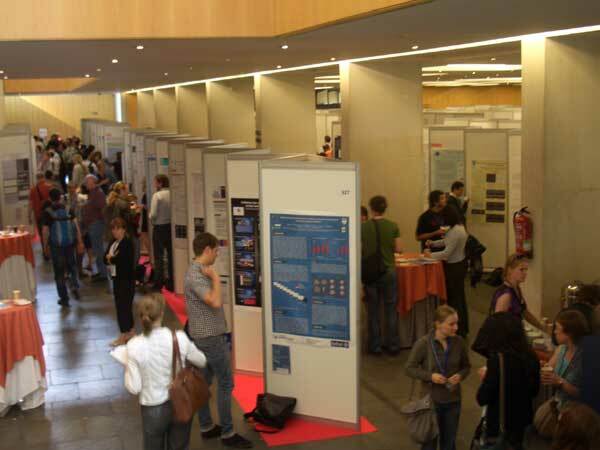 The world's leading researchers gathered in this annual meeting. Thus, I could collect information about the most-advanced research outcomes and the latest analysis methods. Additionally, I could also receive advices on my studies from many researchers in the field of brain imaging. I had meaningful discussions about the function of the ventral striatum, where Dr. Camara and Dr. Rodriguez-Fornells found an activation relating to rewards, but I found no activation relating to social relationships. I was also advised to further analyze the activation in the temporo-parietal junction which is related to theory of mind because I had used gaze of others as stimuli.